Arthur J. Abramowitz is shareholder with the firm, and co-chair of the firm’s Bankruptcy, Insolvency and Workout department. Mr. Abramowitz has over 40 years’ experience in various aspects of corporate reorganizations and workouts, as well as commercial litigation and is widely recognized as a leader of the bankruptcy bar. He has successfully reorganized numerous debtors and has represented creditors’ committees, secured and unsecured creditors and trustees. Mr. Abramowitz has also served as trustee in a number of Chapter 11 cases. A substantial part of his practice is related to both in court and out of court workouts involving debtors, guarantors and lenders. He has been involved in mass tort cases relating to asbestos, as well as diet supplements. Mr. Abramowitz has served as a mediator, Receiver and Trustee in numerous cases and has been an expert witness in a number of bankruptcy related cases. The Third Circuit Court of Appeals has chosen him on numerous occasions as a member of the merit selection committee for the appointment of Bankruptcy Judges. 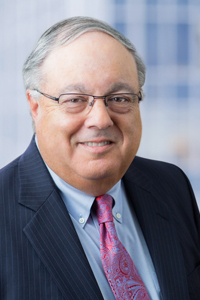 A past president of the Camden County and Federal Bar Associations, Mr. Abramowitz has also served as the President of the Bankruptcy Section of the New Jersey Bar Association. Chambers and Partners USA recently ranked Mr. Abramowitz as one of the top bankruptcy/reorganization lawyers in New Jersey stating that he is "an extremely skilled bankruptcy practitioner" who is "extremely intelligent and a great negotiator." The UK based ranking service "ranks lawyers and law firms on several factors and considerations, all of which are investigated by (its) large team of more than 140 researchers. Individual lawyers are ranked (in their practice-area(s)) on the basis of their legal knowledge and experience, their ability, their effectiveness, and their client-service." Mr. Abramowitz graduated from Rutgers University in 1969 and from Temple University School of Law in 1972, where he was Executive Editor of the Law Review. Named in The Best Lawyers in America in the field of Bankruptcy and Creditor Debtor Rights/ Insolvency and Reorganization for the past 35 years. Named one of the Top Super Lawyers in New Jersey (2010, 2006). The Super Lawyers list is issued by Thomson Reuters. A description of the selection methodology can be found at https://www.superlawyers.com/about/selection_process.html. No aspect of this advertisement has been approved by the Supreme Court of New Jersey. Listed in the International Who's Who of Insolvency & Restructuring Lawyers and Who's Who Legal USA: Insolvency and Restructuring.